Skeptics sometimes argue that plug-in electric vehicles (EVs, for short) simply shift the emissions source from the tailpipe to the smokestacks. However, the inherent efficiency advantages of electricity over internal combustion still generally make EVs a better environmental choice, and an even better long-term solution to promote energy security, combat climate change, and improve air quality. And, unlike conventional vehicles, EVs also become greener as energy production technology for electricity continues to improve. As a result, the environmental footprint from driving an EV will continue to decline as we transition to cleaner, renewable energy sources like wind, solar, and biomass. Electric vehicles represent an exciting mobility revolution that will move Michigan’s economy forward while enabling us to wean off foreign oil and reduce air and climate pollution in a cost-effective manner. From innovations in our electric grid to improved battery storage and the integration of connected and autonomous vehicles, the next generation of the automobile is here. 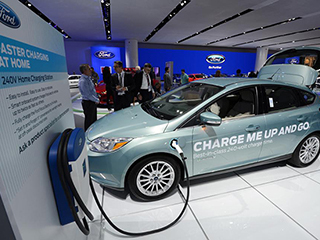 With electric vehicles becoming increasingly cost-effective, practical and in- demand, Detroit’s largest automakers have rapidly accelerated plans to electrify their vehicle fleets. Now, as more than 600,000 EVs have been sold across the country to date, Michigan is among the top 10 states in electric vehicle sales and top 20 by share of the total vehicle market. 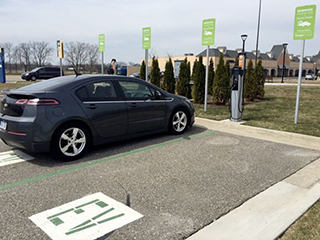 State leaders have an opportunity to establish Michigan as a leader in the EV market by enacting policies that incentivize and strengthen this critical economic sector.